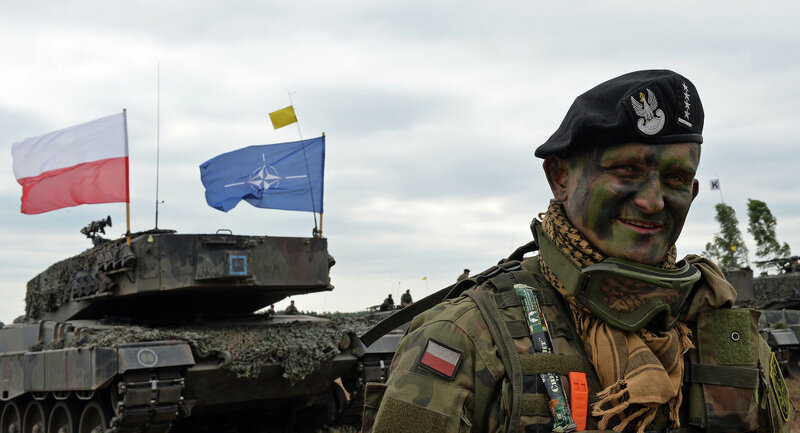 Belarussian President Alexander Lukashenko said he was worried by NATO’s increased activity in Eastern Europe, his press service said on Wednesday. "We can see armed conflicts flaring up in the Middle East, in North Africa and in our brotherly Ukraine, and we are alarmed by what the North Atlantic Treaty Organization is now doing in Eastern Europe," Lukashenko said when greeting military academy graduates in Minsk. He underscored the urgent need for the country’s military to master new forms of warfare and keep an eye on the changing situation in the world. "We are safeguarding our own security and we are also working closely with our partners in Russia and within the Collective Security Treaty Organization," the presidential press service quoted Lukashenko as saying. Earlier this month, Lukashenko warned countries he called Belarusian "ill-wishers" against "clattering arms" at the country's borders, calling it a "waste of time." In June, Belarus held drills on its border with Ukraine with the goal of strengthening the border.